When an artist reaches the point where he doesn’t have to work so darn hard just to get the job done (or if he’s good enough to make it all seem easy), he’s then free to tend to more immediate concerns—like having a good time. 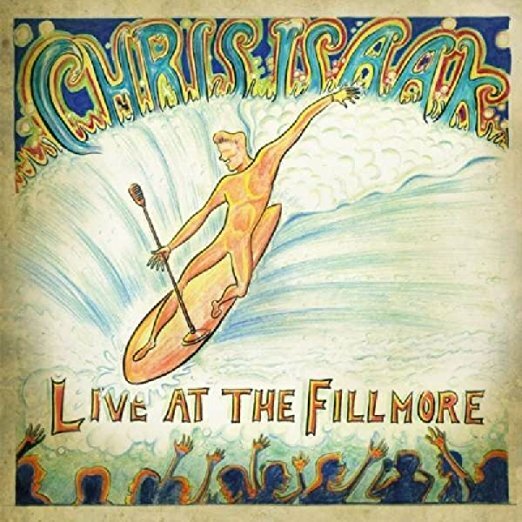 That's what Chris Isaak does on his latest release, Live at the Fillmore. Backed by his longtime band, Silvertone, Isaak is sensational throughout this 2008 performance in his hometown of San Francisco, giving what sounds like a raucous crowd considerable bang for its showbiz buck. At turns a lovelorn balladeer (“Western Stars,” “Blue Spanish Sky”) and a bona fide rock 'n' roller (“Speak of the Devil,” “Want Your Love”), Isaak proves himself here as a consummate showman, engaging the audience with off-the-cuff humor when he's not riffing on the Fillmore's psychedelic past. His charisma goes a long way, but so do superb performances of “Somebody’s Crying” and “Wicked Game,” his voice on the latter soaring to devastating, chill-inducing heights. Songs from his most recent studio LP, last year’s Mr. Lucky (which had yet to be released at the time of this recording), come off without a hitch, the rambunctious “Best I Ever Had” faring especially well. Other highlights include the Polynesian-styled “Two Hearts” and a six-minute, slow-roasted version of “Baby Did a Bad Bad Thing” that finds Isaak channeling his inner Elvis to a raunchy, honky-tonk groove. Worth seeking out are bonus tracks like “American Boy,” “Nowhere”—Is there a cooler line than “you’re the kind of girl that looks better naked,” by the way?—which are available online as digital exclusives. 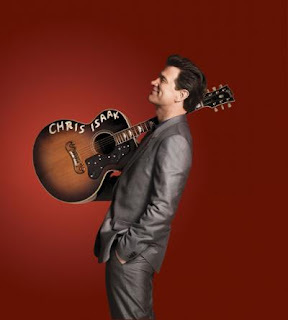 For Chris Isaak a concert is something more than just playing some songs and taking a bow when it's time to go home; it’s entertainment. And with over 25 years under his belt, it’d be an understatement to say he’s pretty much gotten the hang of this gig. Live at the Fillmore is proof.